Prices shown in search results exclude transportation and VAT. Looking for a escape out of your daily life? 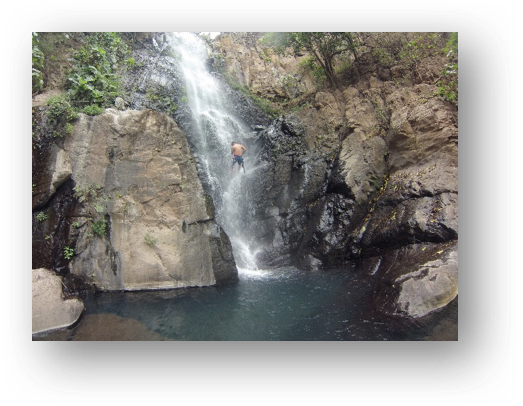 We help you to make your day unforgettable with our selection of extreme sports and adventures in the state of Jalisco! 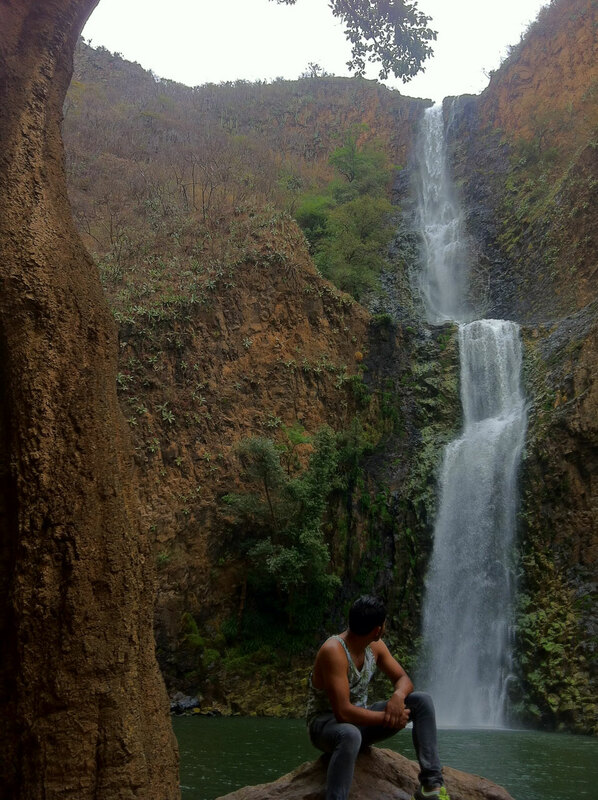 We offer hikes, camping, canyoning, climbing and excursions to mountains, volcanoes, waterfalls and pyramides. Give us a call at 01(33) 3629 8598 or write an e-mail to saludtotal@ecotours.com.mx for reservations or in order to receive further information. 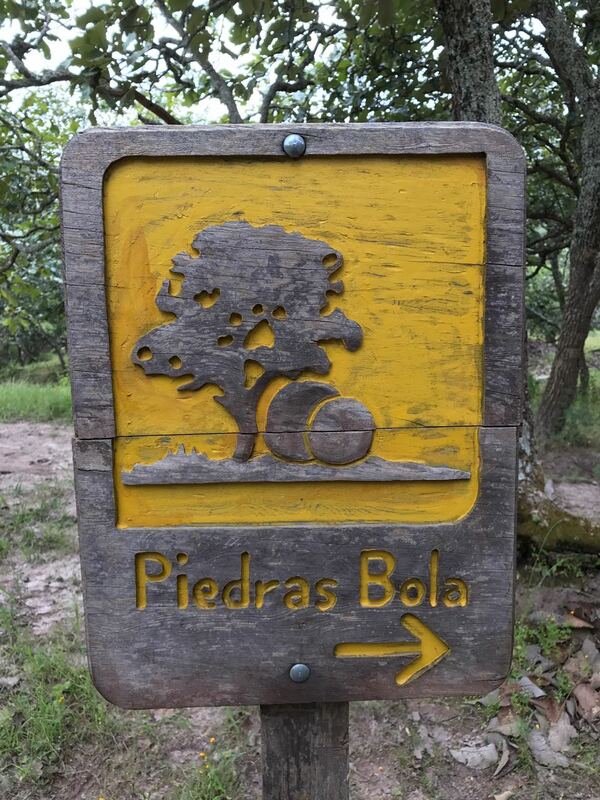 Accompanied by a specialized tour guide we will hike through the Primavera forest. 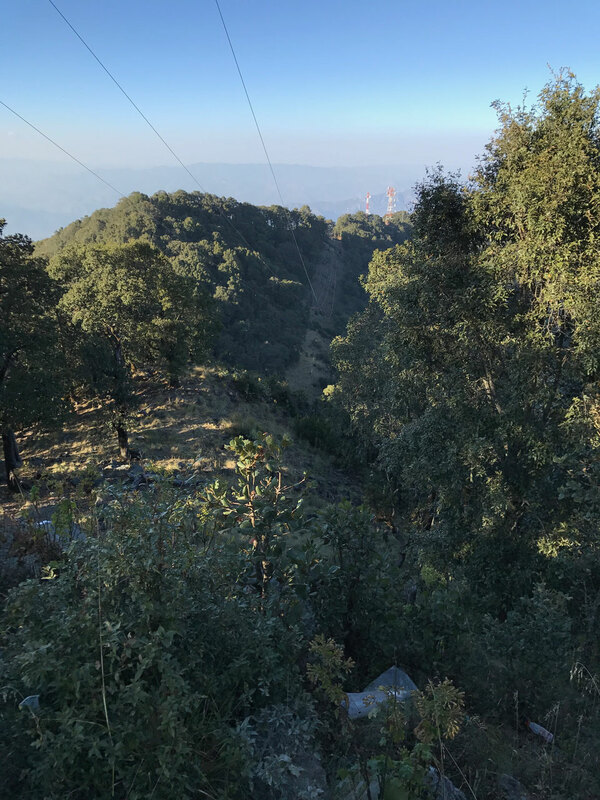 Starting by ascending in the area of the canyons, followed by a beautiful hike through the forest we will finally get to the second control tower, which is located in some protected natural area. 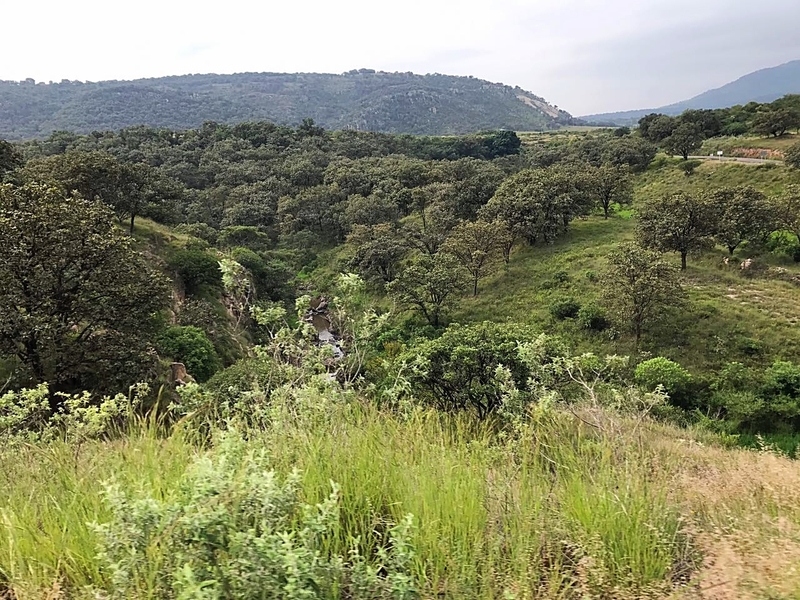 This zone, in Zapopan, is very close to Guadalajara, which makes it the perfect day trip to take some time out from city life and to dive into some beautiful nature. You get the chance to do outdoor sports as well as the opportunity to admire the abundant vegetation. *If you would like to add round trip transportation, it is an extra cost of $600 plus taxes, p/p. or €28.22 plus taxes. The schedule for this activity is approximately from 9am to 6pm. It is a 45-minute car drive from our office. 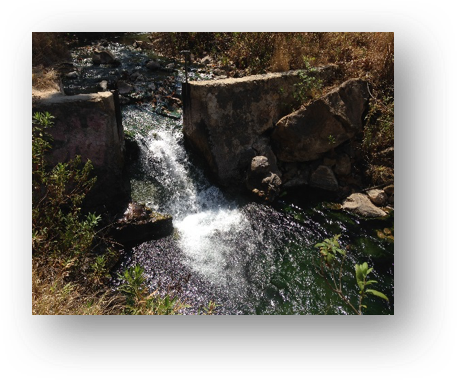 During this excursion in Tapalpa, we will enter the forest and take a walk till we get to one of the most beautiful waterfalls in Jalisco. 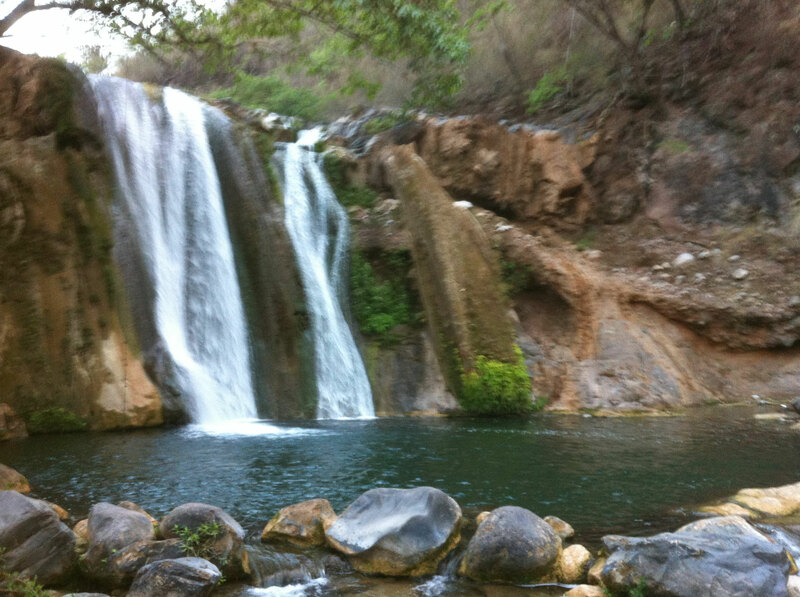 The waterfall has a total height of 100 meters and it is located above another 45-meter waterfall. This is an incredible and unique natural phenomenon, which will amaze you. It is a private tour, instructed by a specialized guide. You can schedule your tour whenever you would like to. Take your camera to take stunning pictures of the great variety of species, plants and animals, which you will encounter during the tour. The schedule for this activity is from 8am to 7pm. It is a 2,5-hour ride from our office. 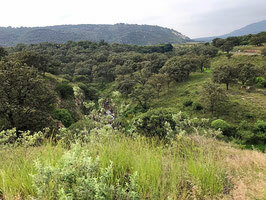 This is a private hike with a specialized guide in the Primavera forest, we will pass by the spring waters located there and stream through the valley. These springs contain very hot water, up to a temperature of 80 degrees Celsius. 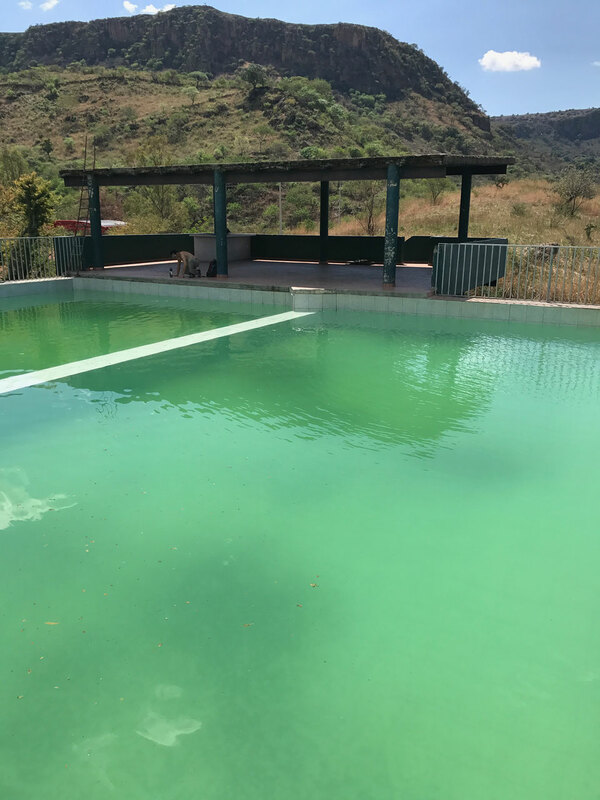 You will get to know the main hot springs, and our guide will explain you the incredible phenomenon and the reason for the hot waters in this area. If you would like to bring your own mountain bike, let us know a few days in advance. It is a 50-minute ride by car from our office. Leaving Guadalajara at 9am, it will take one hour to get to San Lorenzo. 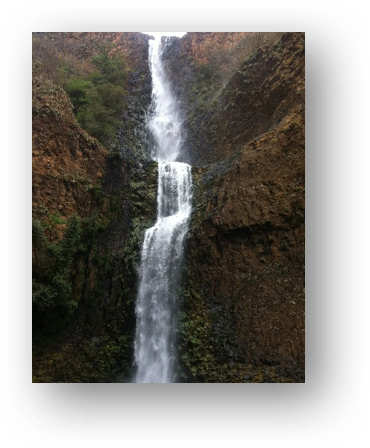 Directly after the arrival, we will undertake a 45-minute hike to get to the big waterfall. There we will have a short photo session and the 12-meter abseiling. 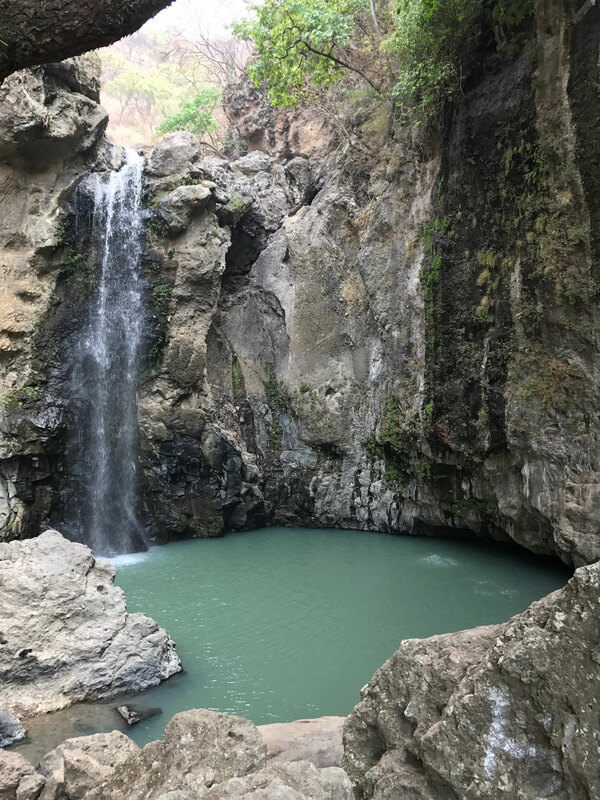 After the activity, we will have a picnic next to the beautiful waterfall or at the mango orchard (Everybody is responsible to bring their own food and drinks, at least 2,5 liters of water are recommended). After the lunch break, it will be another 45-minute walk to get back to the transportation. On the way back to Guadalajara, we will have a short stop to take some more pictures with the stunning scenery in the background. * If you would like to add round trip transportation, it is an extra cost of MX$600 plus taxes p/p. It is approximately an 1 hour 20 min drive from our office. 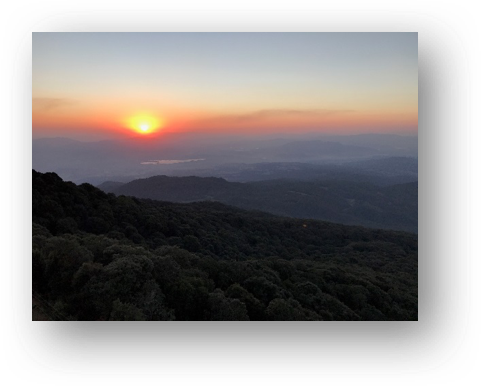 If you want to experience a full nature program, including camping, this is offer is perfectly made for you! Our adventure will start at 9:30 in the morning. Before we leave you should have a good breakfast. Also, do not forget to bring your food for the day. On the way to San Lorenzo, we will make a stop at an incredible viewing point, from where we can enjoy the beautiful surroundings. 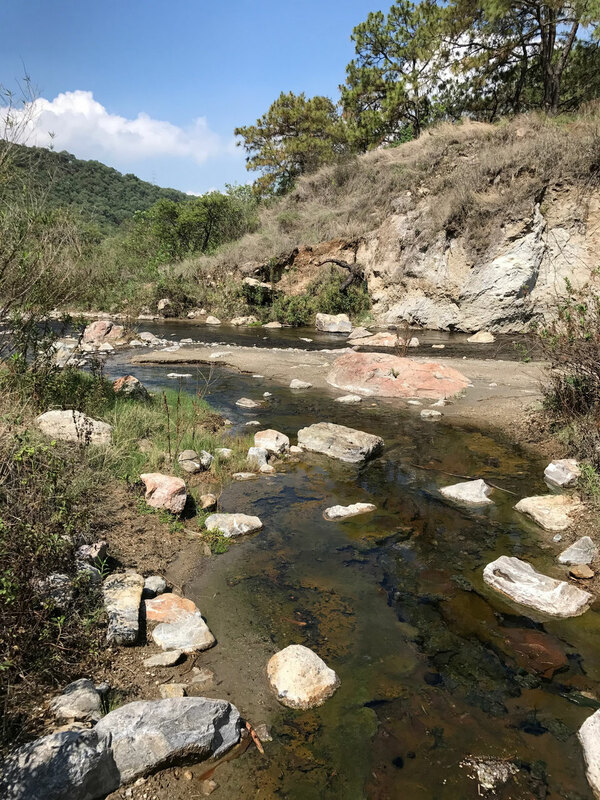 After arrival, we will start a 45-minute walk through some impressive nature, featuring a mango orchard, and we can also see one of the last waterfalls of Huaxtla. We will have a short lunch break, and will also build up our camping area. Afterwards, you have the whole afternoon to enjoy yourself in this precious environment. 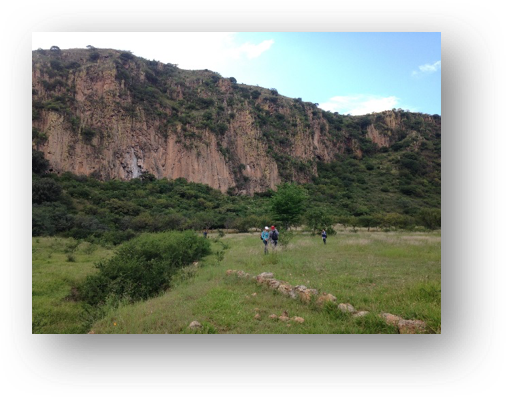 The next day we will hike to El Cuajo, where you can find walls in enormous dimensions, afterwards we will head back to the camp, clean everything up and hike back to our starting point. *If you would like to add round trip transportation, it is an extra cost of MX$600 plus taxes, per day, p/p. The schedule for this activity is from 9 am to 6pm of the next day. It is a one hour drive from our office. LEVEL OF DIFFICULTY LOW, MEDIUM, HIGH, you decide. 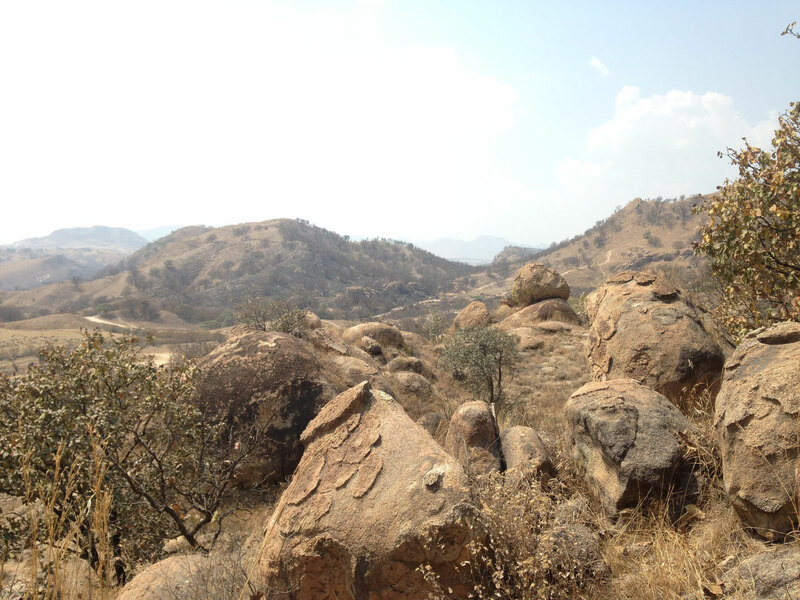 If you live in Jalisco or if you are here for your vacation, enjoy your free time to hike in the hills of Tequila. 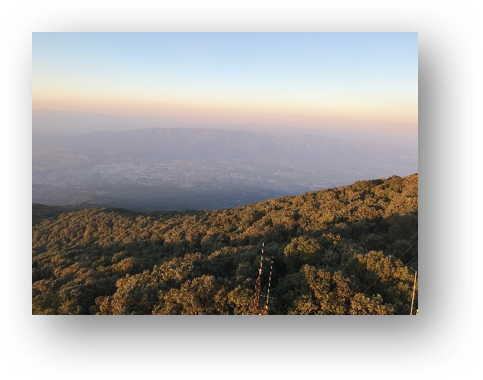 Reaching the peak of it, you have a wonderful view of the typical agave landscape, which is listed as a world Heritage site. It is an incredible trekking route, located at a Vulcan which is inactive since various years. There are different trails with many difficulty levels to get to the summit, located at nearly 2920 meters. 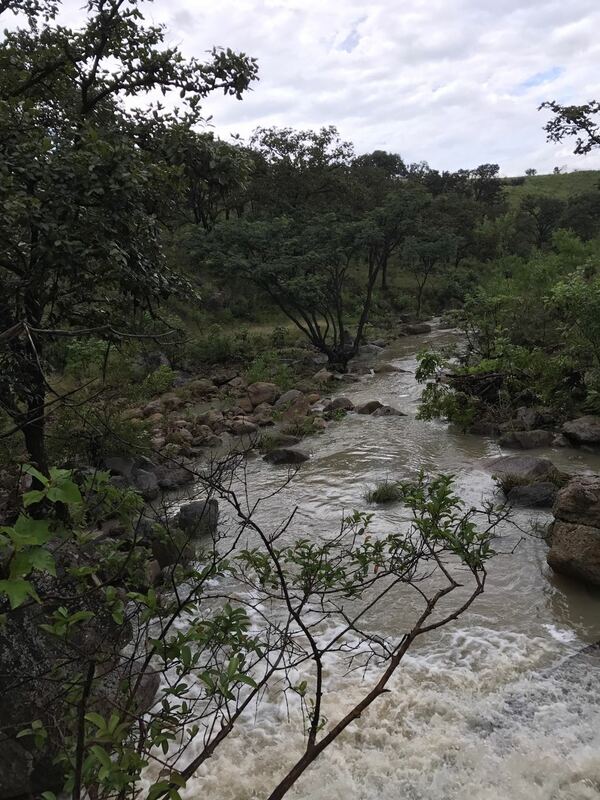 It is an easy hike, and therefore perfect for a family trip. However, we can also add more kilometers if you wish. Bring your camera to capture the beautiful agave landscape. * If you would like to add round trip transportation, it is an extra cost of MX$600.00 plus taxes p/p. The schedule for this activity is approximately from 7am to 8pm. It is a 1 hour 30-minute drive from our office. DIFFICULTY LEVEL LOW, MEDIUM, HIGH, as you wish. We start at 8am from our office, it takes 2 hours and 15 minutes to get to the destination. 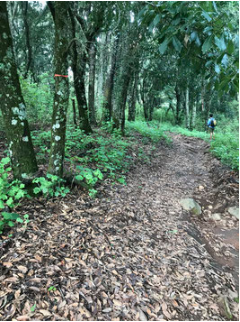 After arrival, we will immediately start the hike, taking a dirt road it will take more or less 25 minutes to get there, depending on your physical condition. We will stop by a stream of drinking water to fil up our water bottles. There we will have a beautiful view of the unique landscape, and you will have the chance to take some beautiful pictures. Come with us to enjoy the beauty of this place. * If you would like to add a round trip transportation, it is an extra cost of MX$600 plus taxes p/p. The schedule for this activity is from 9am to 6pm the following day. DIFICULTY LEVEL LOW, MEDIUM, HIGH, as you wish. Leaving at 9:00 am from the office, it takes us 1 hour and 10 minutes to get there. After arrival, it takes us only 10 minutes of walking to the first waterfall and 25 to the second one, where you have the opportunity to do abseiling next to a 20-meter high waterfall. Afterwards we will eat next to the waterfall (Everyone brings their own food and drinks, recommended to bring at least two liters of water or juice). 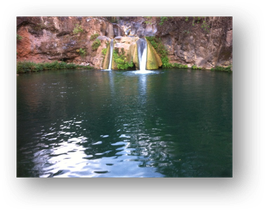 Then you will have the chance to swim in the natural pools, to get back we need to realize a 50-minute walk. 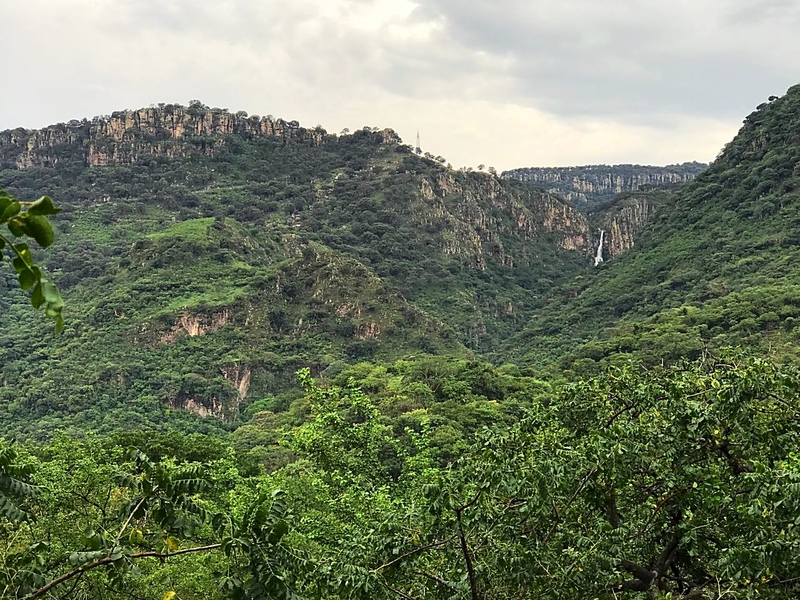 If you wish to come back later than 6pm, we could make a stop in the pueblo mágico (magic town) of Tequila, before getting back to Guadalajara. * If you would like to add round trip transportation, it is an extra cost of MX$600.00 plus taxes p/p. The schedule of this activity is from 9am to 6pm. 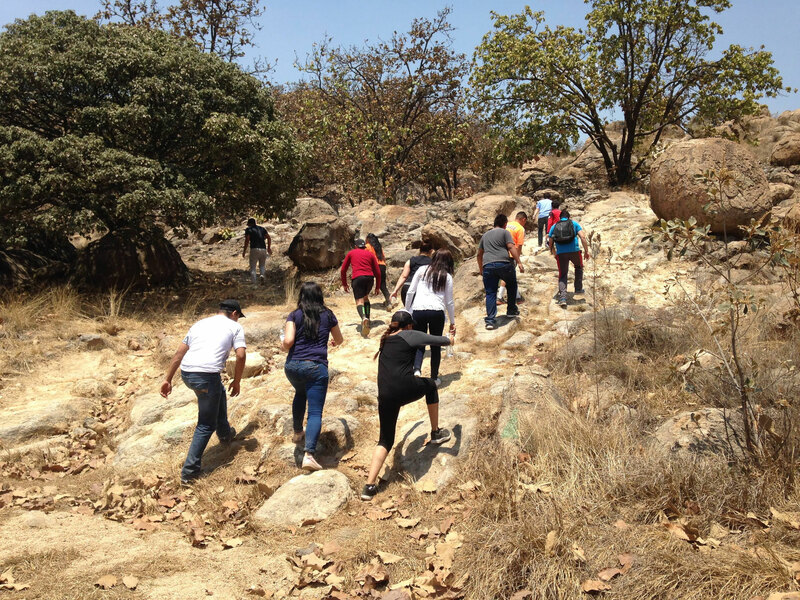 Private excursion with specialized guides to the archaeological zone of Guachimontones in Teuchitlán. We will first be at the pyramids to explain the types of construction that can be observed in the archaeological remains. 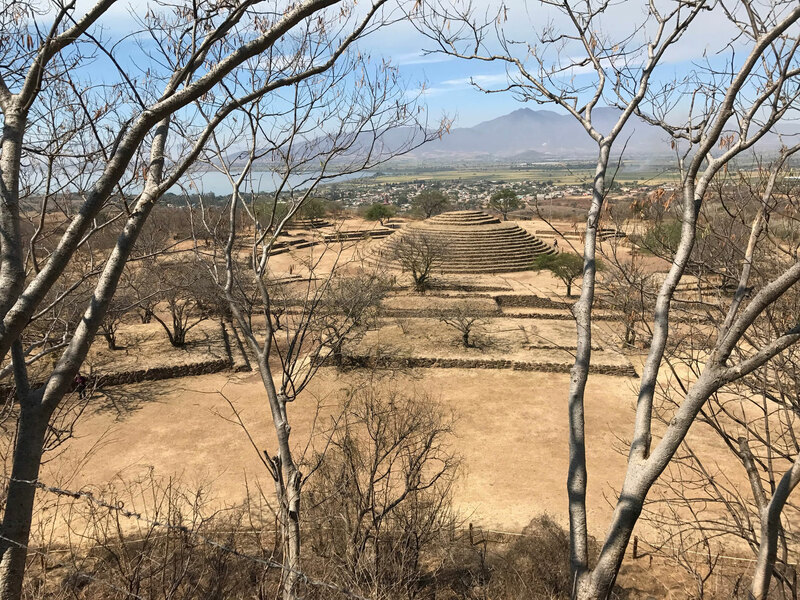 We will walk through the distinct parts of the prehispanic city and get to know the history of the antique civilizations which used to live in this zone. So we will learn more about the way these ancient cultures used to live here, discover the place and capture the best moments of this trip. 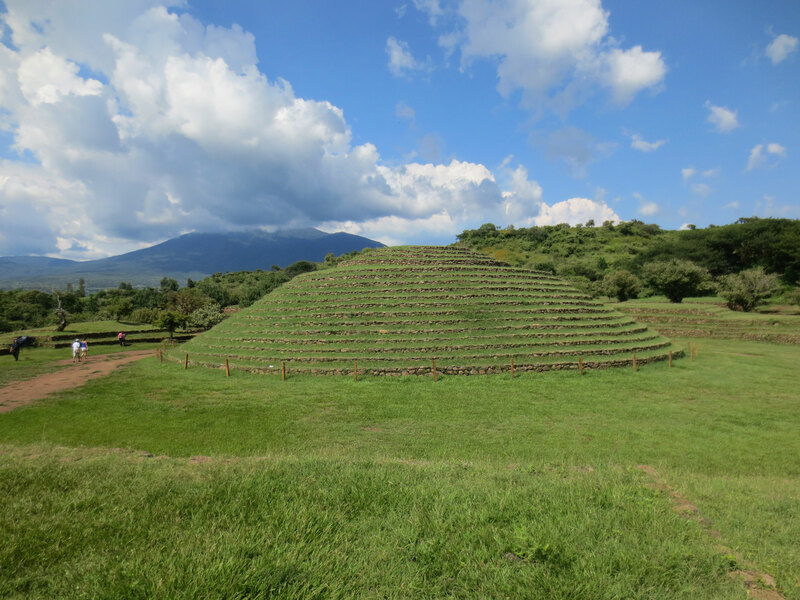 The pyramids of Guachimontones are a world heritage site, protected by UNESCO. 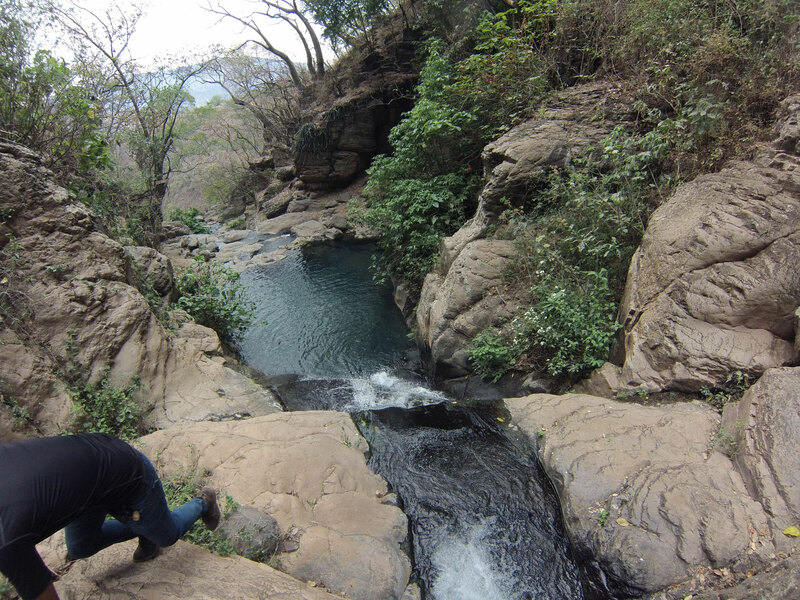 If you are in Jalisco for a visit, you cannot miss this experience. The schedule for this activity is from 9am to 3pm, leaving from Guadalajara. It is a 1 hour 15-minute drive from our office. 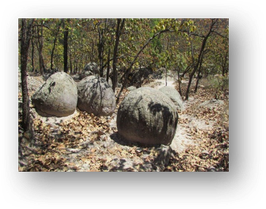 Guided hike to the "round stones"
Come and get to know this natural spectacular in the mountains of Ahualulco del Mercado. 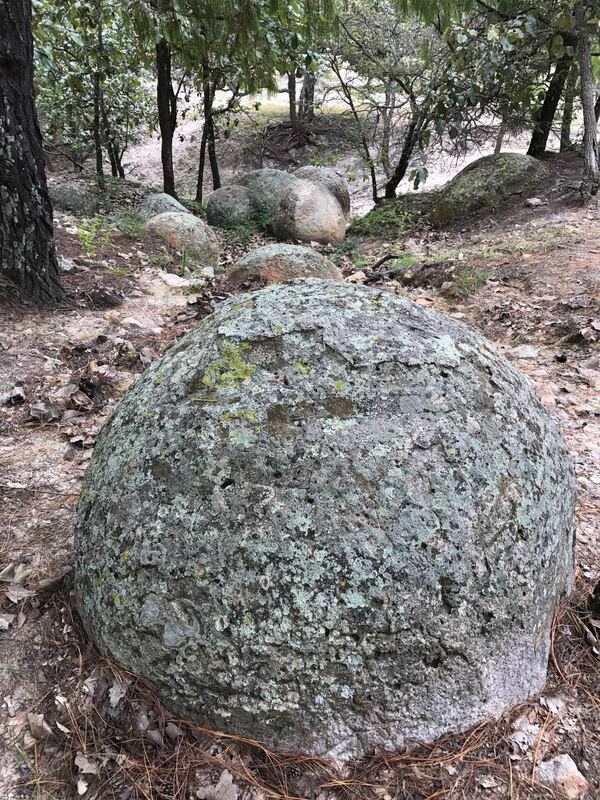 In order to get to the famous “round stones” we will have to realize a hike through the mountains, as well as through the forest with a thick vegetation of pines and oaks with our specialized guides. This place is absolutely magical with its perfectly round shaped stones. It is all natural, which is a mystery to many people. This is a well-known place for tourists to visit during their stay in Jalisco. Do not miss this opportunity! The schedule for this activity is approximately from 8am to 6pm. It is a 1 hour and 40-minute drive from our office. 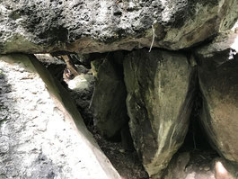 In the north of Guadalajara you can find some tiny caves; within those we have access to, it is only possible to crawl. It is a short path and it is mandatory to bring lamps with you. Your phones flashligt normally is sufficient, but make sure that your phone has at least 65% of power left when we arrive at the caves. We recommend to wear clothes which are suitable to crawl between stones and earth. We do not recommend this tour to persons who suffer from claustrophobia or asthma. This activty is scheduled for approximately 10 AM to 4 PM. 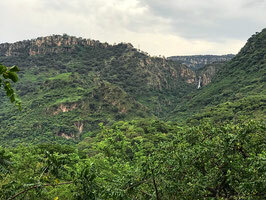 It is an hour drive from Guadalajara and around 85 km north of the city. 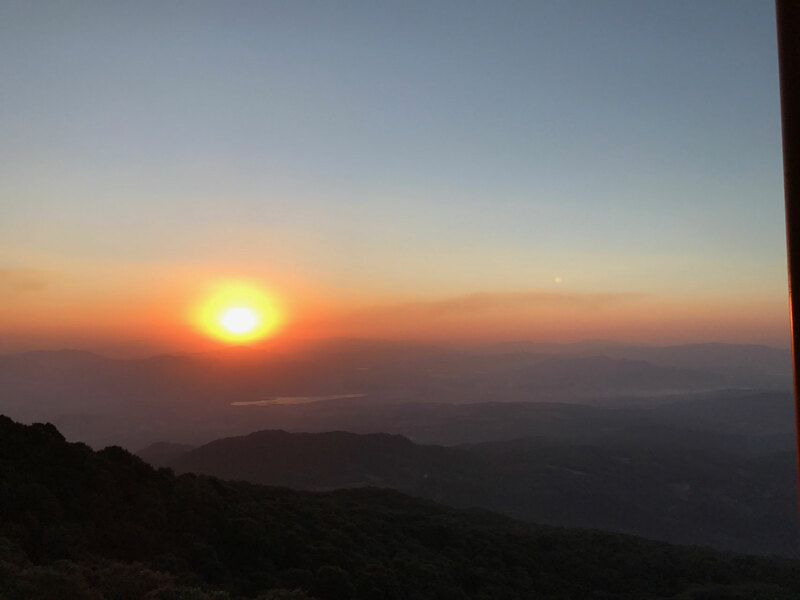 Private excursion with a specialized guide, who will help you to discover the peaks of the natural zone in the highs of Huaxtla, located one hour from Guadalajara. 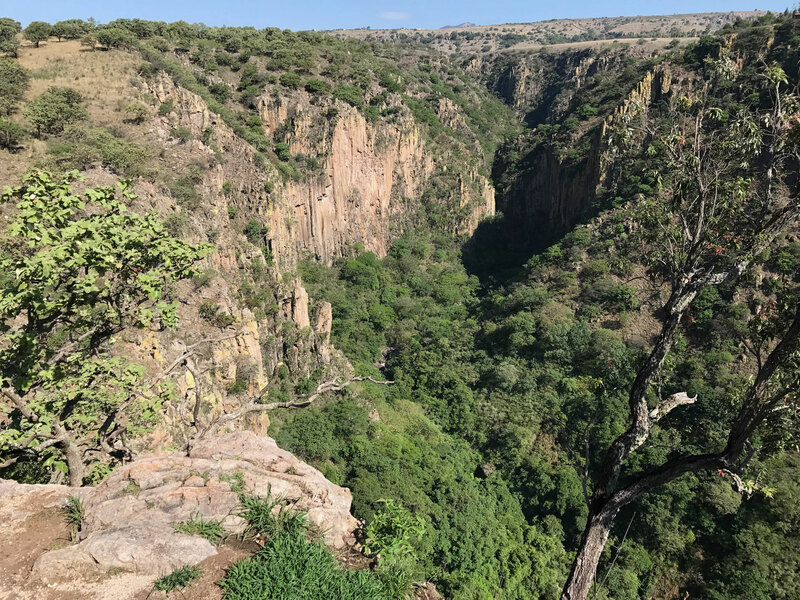 This route is not only a chance to get to know the famous canyon of Huaxtla, but we will also pass 2 summits from where we have a great view over the canyon. 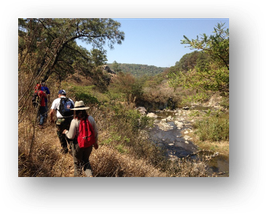 The guide will explain you step by step the different characteristics of the landscape, including the diversity of animals which are typical for the region and the plants which adorn the scenery. The schedule for this activity is from 9am to 6pm. DIFFICULTY LEVEL LOW OR MEDIUM, you decide! 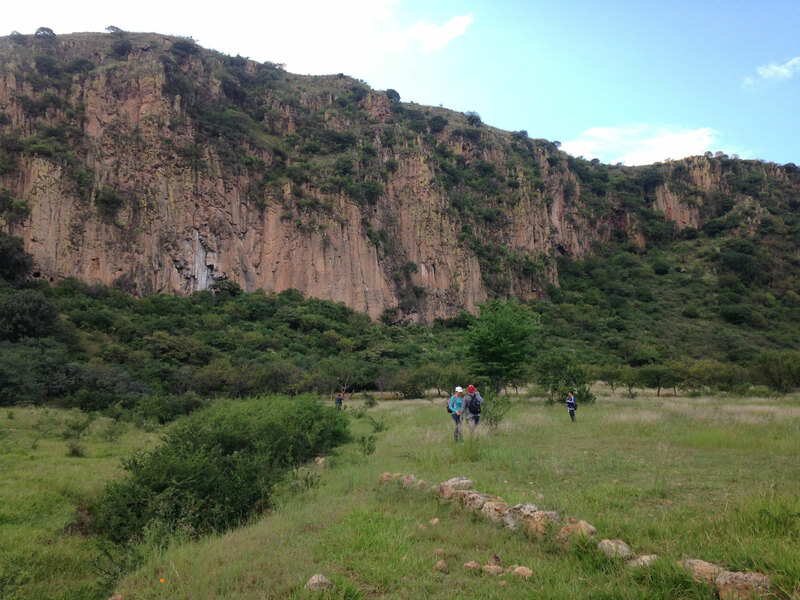 This guided hike will lead you and your group to Cerro Viejo. It will take you 5 hours to summit and 4 hours to return back down. This tour is scheduled from approximately 9 AM to 6 PM. The destination is located an 1 hour ride from our office. This excursion is a trekking route, where our guide will take you to Milpillas. The guide will explain you the main characteristics of the vegetation and the diverse animals who live in this place. You can decide when you would like to do your excursion, take your family and friends and go on an adventure together. It is a 50-minute ride from our office. DIFFICULTY LEVEL LOW OR MEDIUM, you decide. 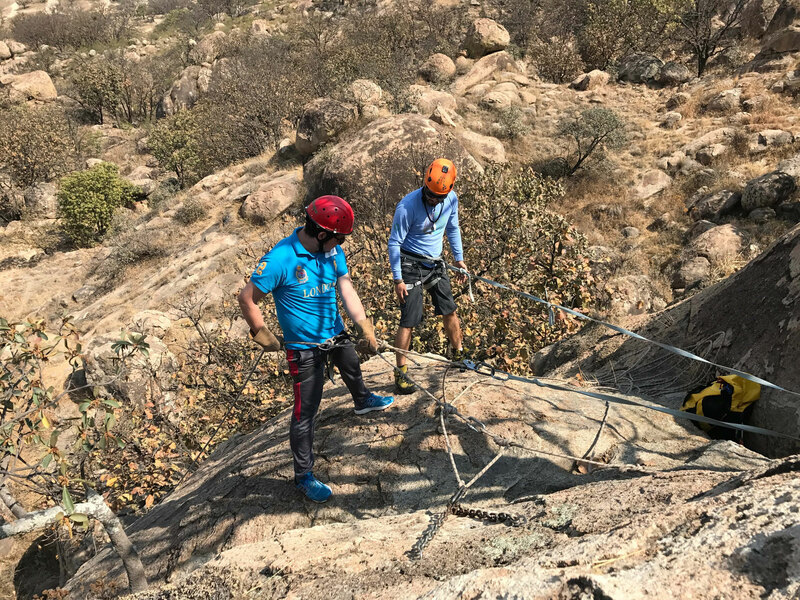 Learn how to climb or do rappel in one of the most famous rocks in Jalisco. 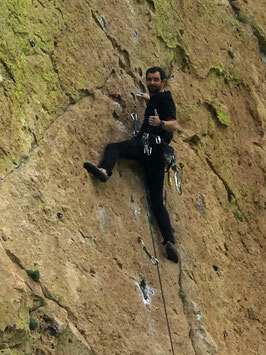 Our guide takes all the necessary equipment to climb at these walls. Depending on the experience of the group there are different routes to choose from. 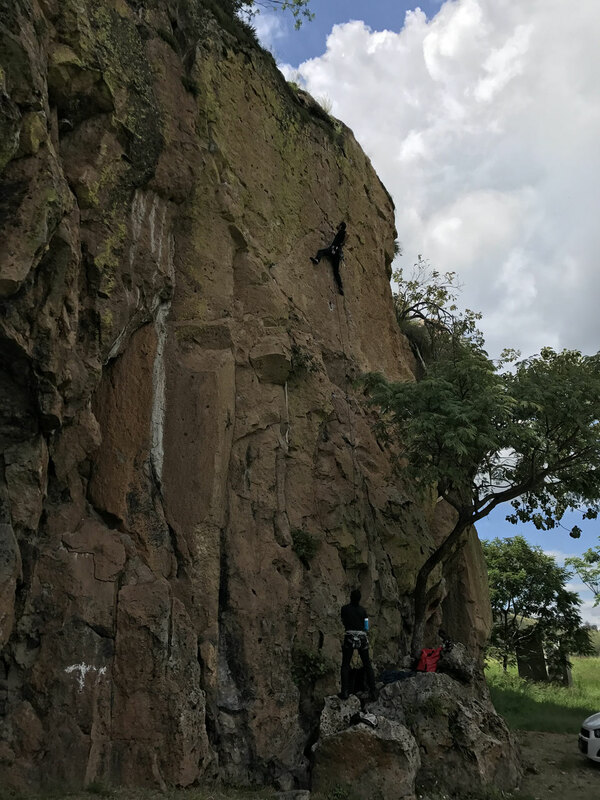 El Diente offers many possibilities for climbing, if you for example already have experiences, there is the opportunity to practice Boulder, or you can just climb on the route. Our guides know the routes and are able to give you advice and support you. You will absolutely love this experience, come and share the passion for climbing! The schedule for this activity is from 8am to 5pm. It is a 45-minute drive from our office. DIFFICULTY LEVEL MEDIUM, HIGH, EXPERTS, you decide! Are you in very good physical conditions and you like high mountain climbing? Then join us on the ecotour to Colima´s snowcapped mountains. 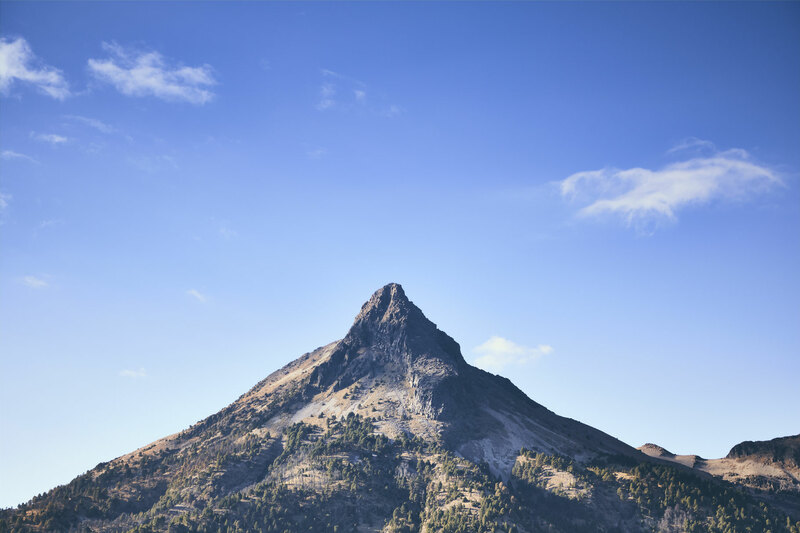 From this mountain with an altitude of 4260 msnm, you will have an incredible view of the inactive vulcano. 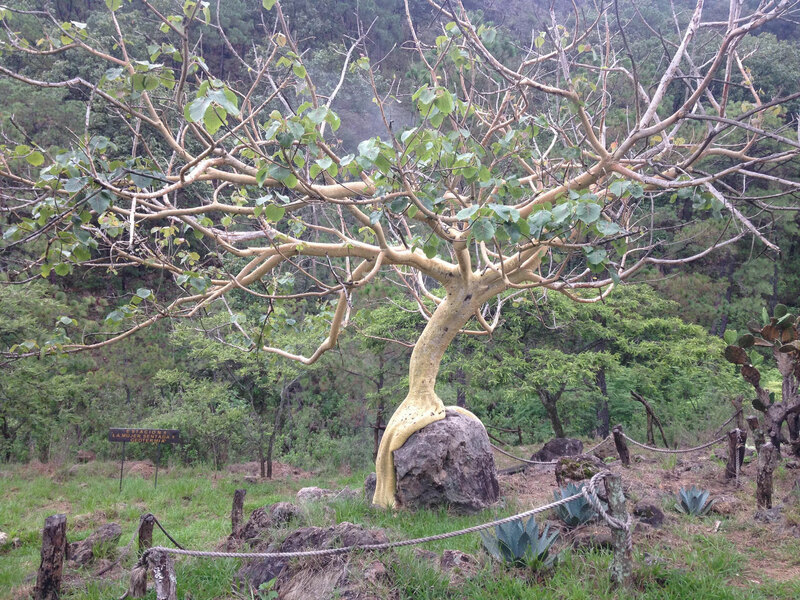 You will find a mesaphilic forest and a fantastic flora between the lower part of the village and "la Joya". In the last part of the tough hike, there will be no vegetation, as there is a reduced amount of oxigen because of the altitude. It is highly recommended to do the tour only if you haven´t been in an area of 1500 msnm o lower until two days before you are planning to start the ecotour. You have the possibility to camp for one night. In this case applies an extra cost of $799 sin IVA. For the camping you will have to bring a sleeping bag that is suitable for -20 grades celsius (winter) and -5 grades celsius (summer), a waterproof tent, waterproof clothes, an outdoor jacket, a sweater and under the timberly line boots. *For an extra cost of $1500 + IVA p/p. we can organize for you transport to the place and back to Guadalajara. The schedule for this activity is approximately from 5:00 am to 23:00 pm if you take the day tour. The distance from our office is 3:15 horas. It takes about 5,5 hours to get to Toxín. We will start early in the morning at 4 am. 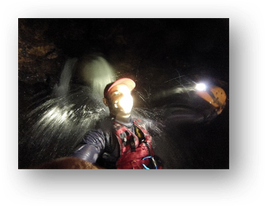 Our starting point is the cave, from there we go downriver inside the cave for approximately 2 hours, we will do 3 different types of abseiling till we get to a siphon. There we will have a short lunchbreak (everybody brings their own food and drinks, recommended at least 2 liters of water or juice). To get out of the cave it is another 3-hour walk. It is another 5,5 hours to get back to Guadalajara, so we will arrive at 1am. There is also the opportunity to camp there with an extra cost off MX$799.00 plus taxes p/p., including the tent. Note: for very thin people with low body fat index, it is recommended to wear a wet suit of minimum 3 to 4 millimeters. * If you would like to add a round trip transportation, it is an extra cost of MX$1,500.00 plus taxes p/p. The schedule for this activity is from 4:00 am to 1:00 am, with the option of camping at the place for an extra cost. Climbing expedition in "la Hidro"
Learn how to climb in “La Hidroeléctrica”, a place which is known for being perfect for climbing starters and schools. Our guide will choose the most suitable routes, depending on the characteristics and experience of the group. Even persons starting from scratch have the opportunity to obtain good results. The price includes the necessary equipment, in order to perform the activities in a save and responsible way. 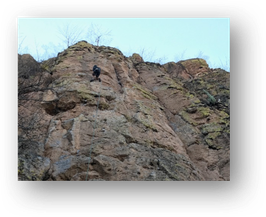 “La Hidro”, has more than 30 routes to ascent, and is therefore lots of fun also for climbers with an intermediate level. The routes are very close together and that is the reason why it is very easy to move around. Come with us and enjoy the climb! DIFFICULTY LEVEL MEDIUM, HIGH, EXPERTS, you choose! 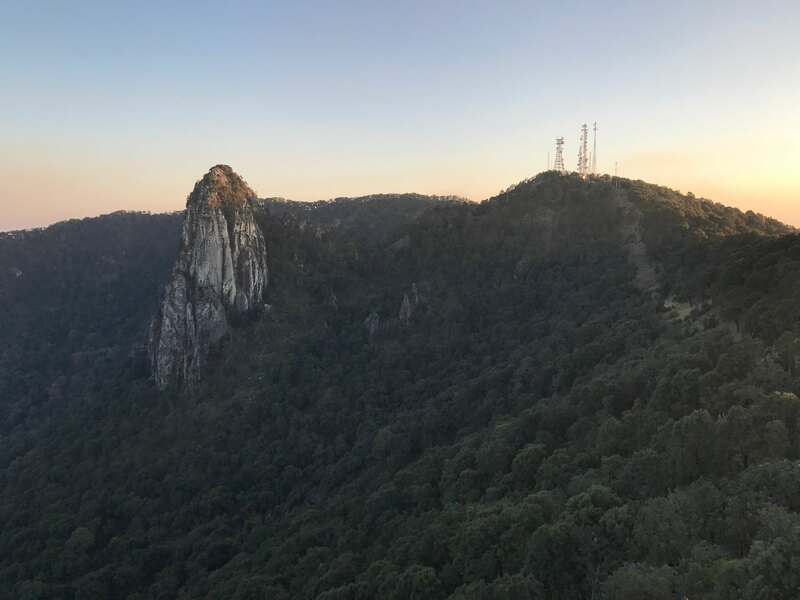 Dare yourself to go climbing at Cuajo, a peak up to 80 meters in an organized excursion with an expert guide in vertical activities. 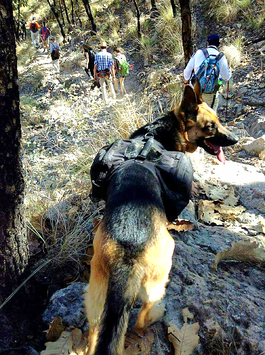 The guide will teach and support while climbing. 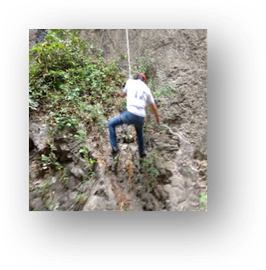 Enjoy the climb in the middle of the Huaxtla canyon. We will all put on the needed equipment for the climb to ensure a save practice on the routes. 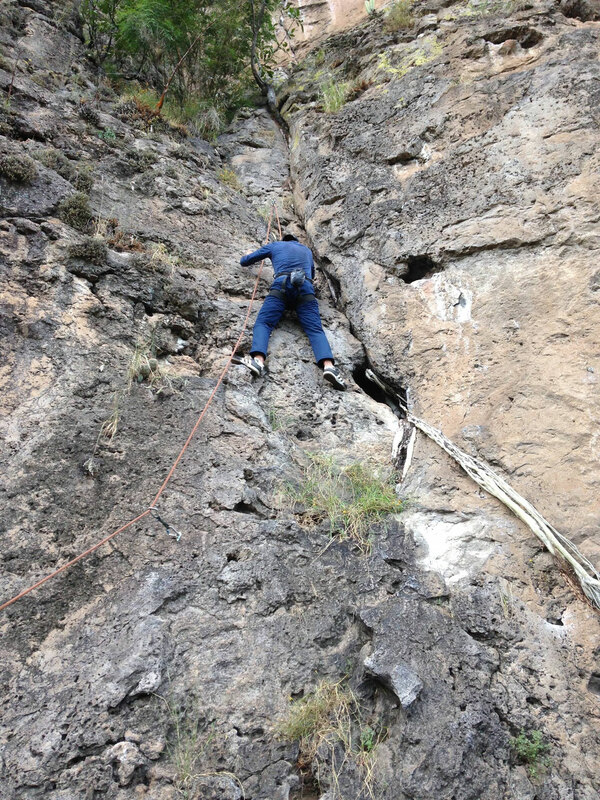 Moreover, “El Cuajo” has around 25 routes to climb on for different levels of difficulty. Learn how to climb with professionals in the best places in Jalisco. The schedule for this activity is from 2pm to 9pm. 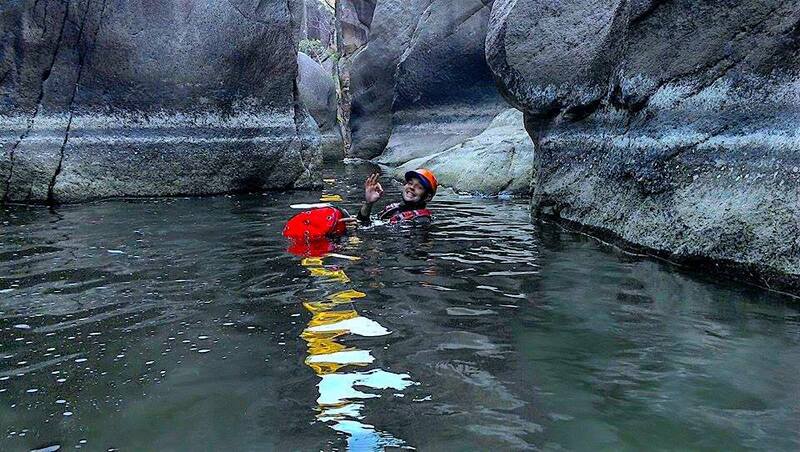 If you are looking for adrenalin, canyoning is the right choice for you. We will leave at 8am and will arrive within one hour. After a 45-minute walk we will get to the first waterfall of the canyon. There we will put on swim shirts (you need to bring one). 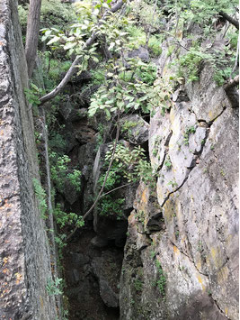 We will be around three hours inside the canyon and have a picnic (everyone will bring their own food and drinks, it is recommended to bring these in waterproof containers). Starting from the canyon, we will do a walk of two hours. The way back to Guadalajara takes one hour. 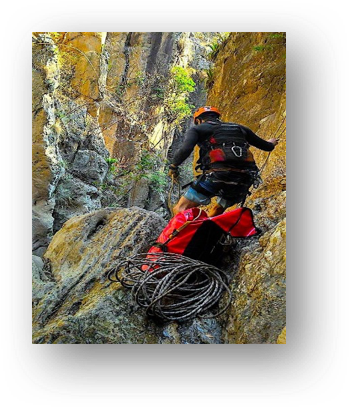 We guarantee personal attention from our guides and extreme safety surveillance. Note: for very thin persons with a low body fat index, it is recommended to wear a wet suit of minimum 3 to 4 millimeters. 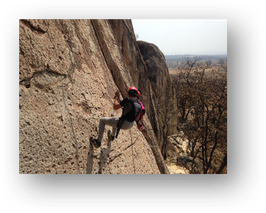 Take part in an intense adventure for beginners. 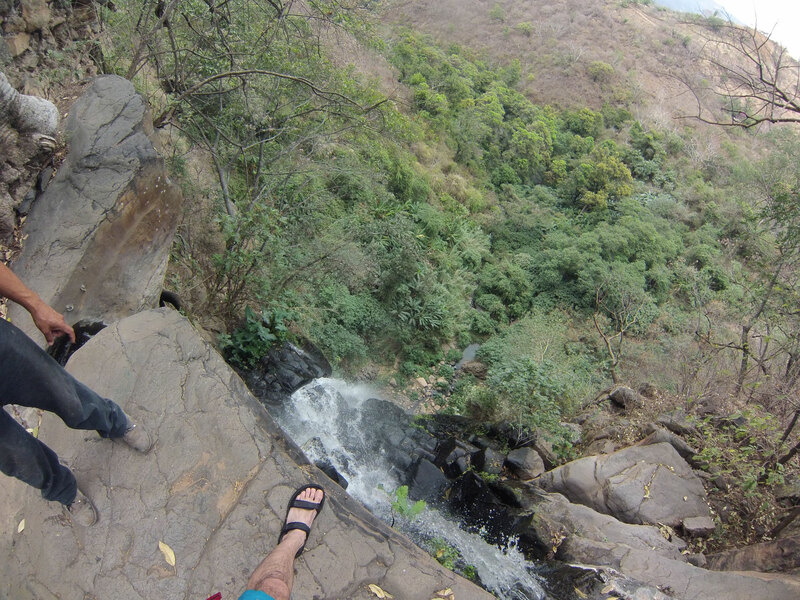 You can dare yourself to jump from different heights into the water. 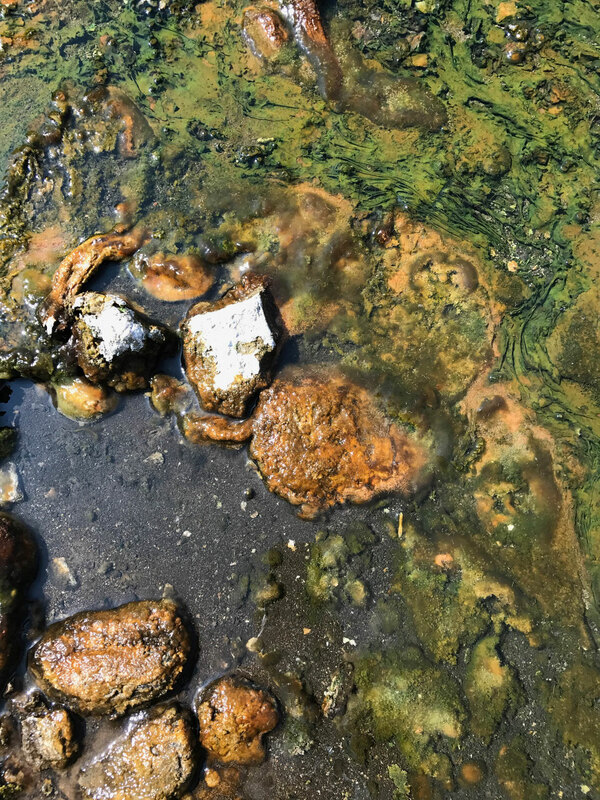 The water is very clean and clear. In total, it is a 9-hour excursion, which you can enjoy best family or friends. Even if your group is big, the guide can give you personalized attention. We assure you that you will have a great time. * If you would like to add a round trip transportation, it is an extra cost of MX$1,200 plus taxes p/p. The schedule for this activity is from 7am to 9pm. It is a 3-hour drive from our office. Amazing trips with your dog! Special discounts for groups, please reserve places in advance. Transportation, specialized staff, first aid kit, medical insurance against accidents (for people only) and photos of the event (downloadable from our website through restricted access with password). No aggressive, sick, or pregnant dogs are allowed, neither are female dogs in heat. Events not suitable for senile dogs or puppies under six months. Each dog must have at least one person in charge. Each person or family is entirely responsible for their dog and his actions. All dogs must wear a collar and leash, the staff will indicate when it is safe to remove the leash for them to walk free. Prices are based on today's exchange rate (28.09.2017), where 1 Mexican peso is equal to 0.06 US dollar and 1 US dollar equals 18.18 Mexican pesos, according to the Bank of Mexico. If the rate changes more than 8%, we will have to adjust prices.